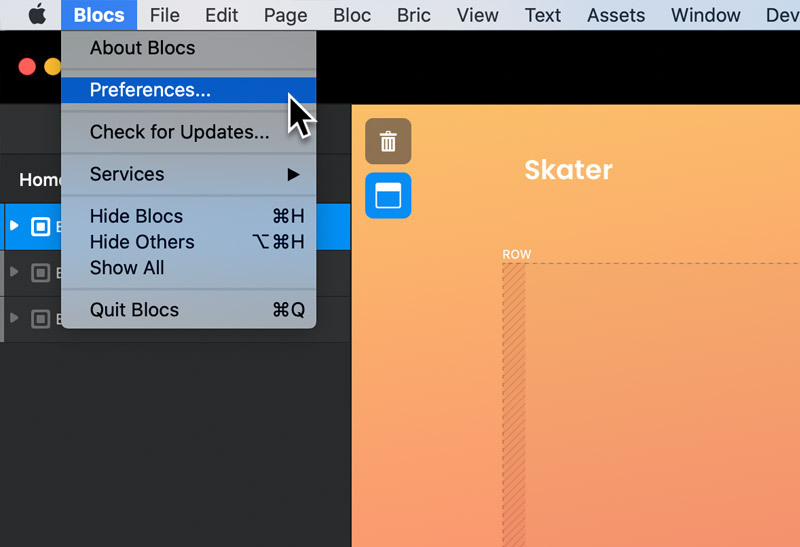 To deactivate the license used on the current Mac, navigate to the main preferences by selecting Blocs > Preferences from the apps main menu. From the preferences window, select the menu tab with the key icon, that is labelled License. This will take you to the license options. To deactivate the Mac computer that you are currently using, left click the button labelled Deactivate License. 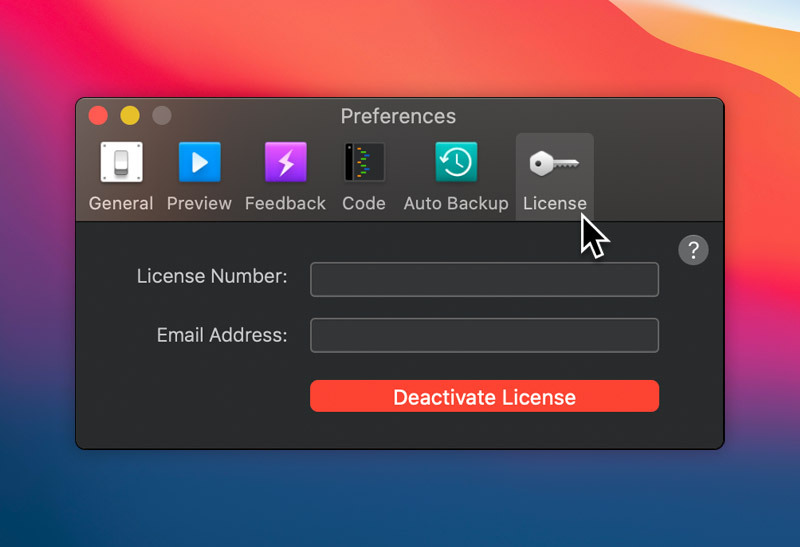 You will be prompted by an alert asking you if you wish to continue, if you click yes, the Macs license will be deactivated meaning it is no longer in use and can be used on another computer. If you have lost your Blocs license number, you can find out how to retrieve it here. If you are still having trouble, you can get in touch with technical support here.